Encampment Forest started as a remote summer colony along the shores of Lake Superior back in the 1920’s. The buildings here have a rich history from generations of families enjoying their summer vacations. 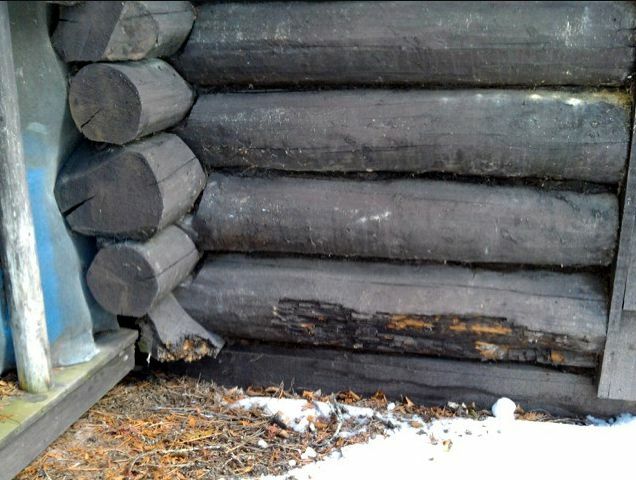 Replacing rotten logs on these historic log cabins can be challenging. 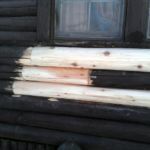 This charming log home showed signs of rot caused by moisture infiltration. It was the main issue . The maintenance on this home had not been kept up over the years. Checks and cracks on many of the logs allowed moisture to get into the logs, and over the year, rot took hold. 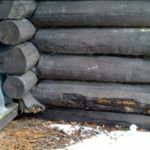 It was common for buildings in this era to have logs set very close to the ground. This is a perfect setup for future rot. 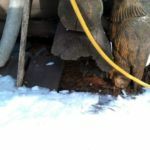 Water splashes off the ground onto the logs. It’s almost inevitable that they will rot. There was a lot of rot in this area. 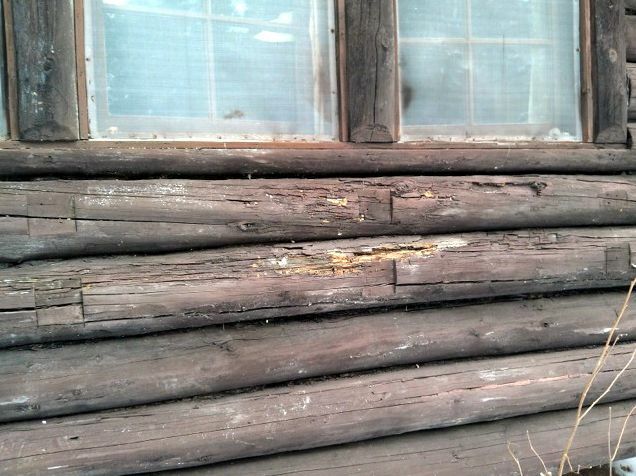 Logs underneath windows are susceptible to rot. 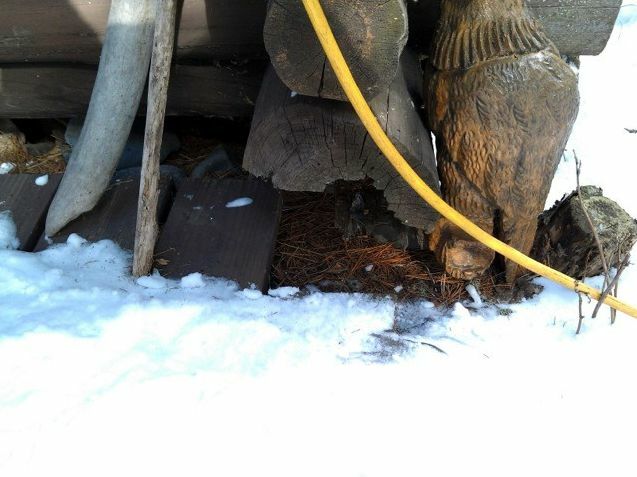 Keep an eye on this area for signs of rot on your log home. Log homes in this era were often built very close to the ground where they get exposed to too much moisture. 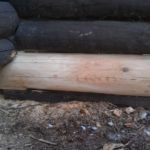 Once these replacement logs are stained, they will blend in with the original logs. Once the replacement logs are installed, they get caulked/chinked and stained. 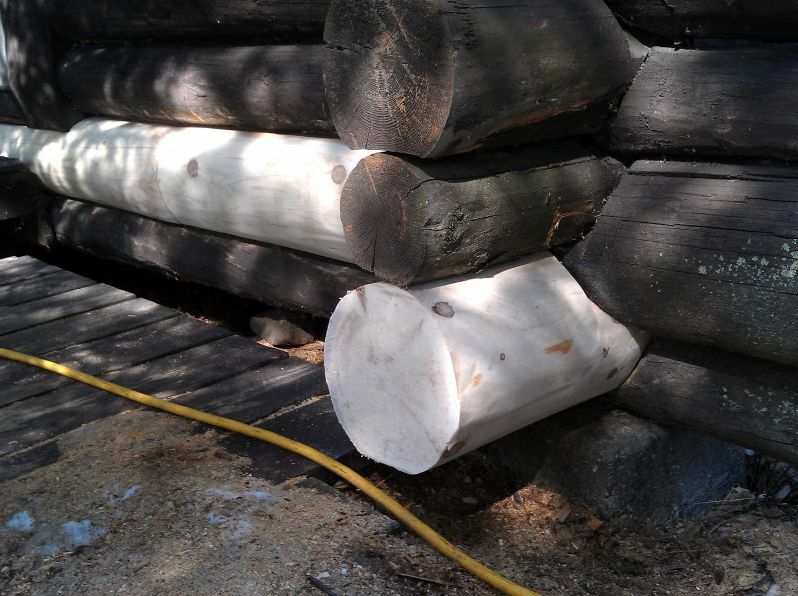 Keeping a quality stain on logs is a great way to protect them against future rot. Don’t be tempted to repair this type of rot with epoxy or some other wood filler. It won’t last and you will not have addressed the underlying problem – the rot. Replacement log is ready for caulking and staining. On this particular job, we were asked to fix only the rotten logs while another contractor completed other necessary improvements. We often work with homeowners or their contractors to complete an entire restoration project. It’s important that all the pieces of the puzzle fit together on projects such as these. 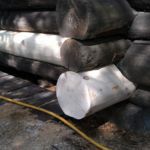 Sometimes people want to maintain the historical integrity of the building, so rather than lifting the logs up off the ground with a foundation or some other means, we replace the logs as they were originally set. 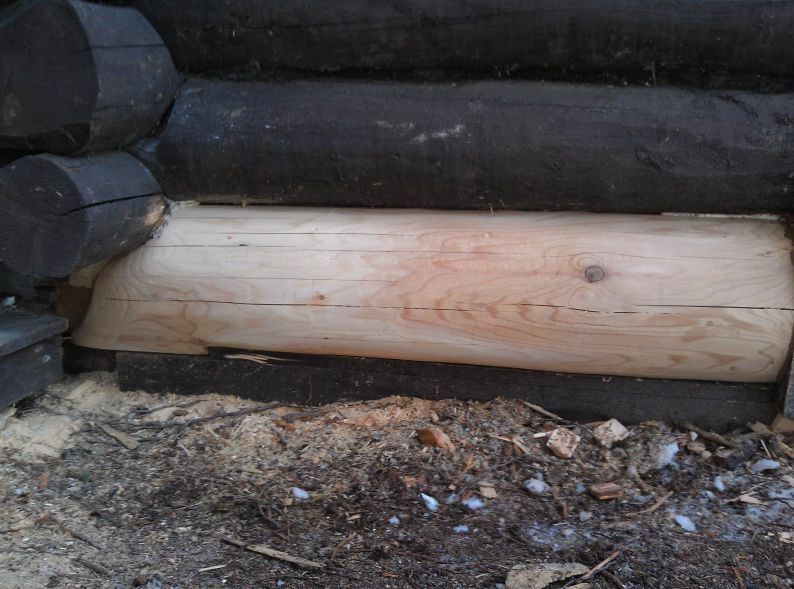 Sometimes it is a matter of finances; it’s not always cost effective to raise an old log home up onto a foundation. In either case, to help prevent rot from reoccurring too soon, our replacement logs are dried cedar. Dried cedar resists rot for a very long time as long they are protected with a quality finish. 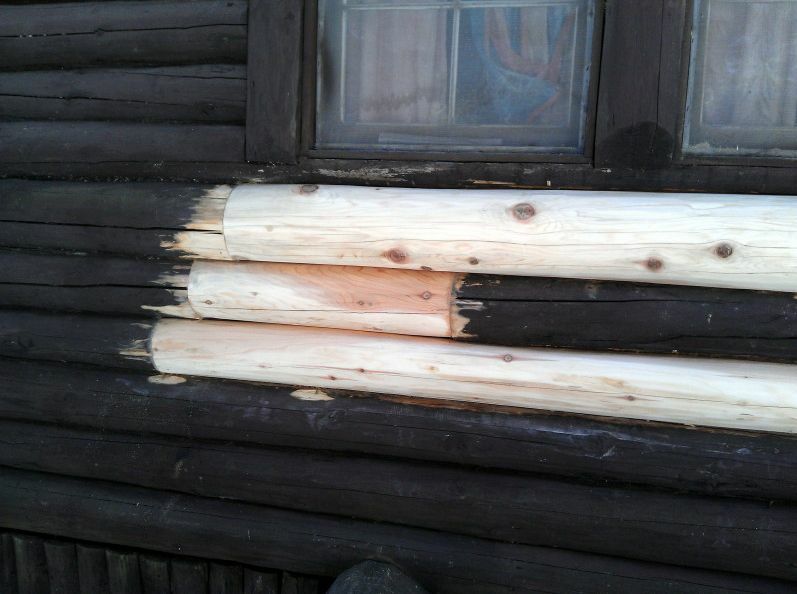 Replacing rotten logs is what we specialize in. 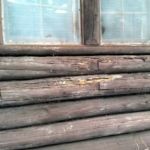 If this is part of a larger log home restoration plan, it’s important that things get done in the right order so that the finished results are the best possible outcome for the log building. We have over 40 years of experience working closely with others on a given project. You can trust us to do the job right, the first time. Find out the answer to this question: Why hire Edmunds & Company?